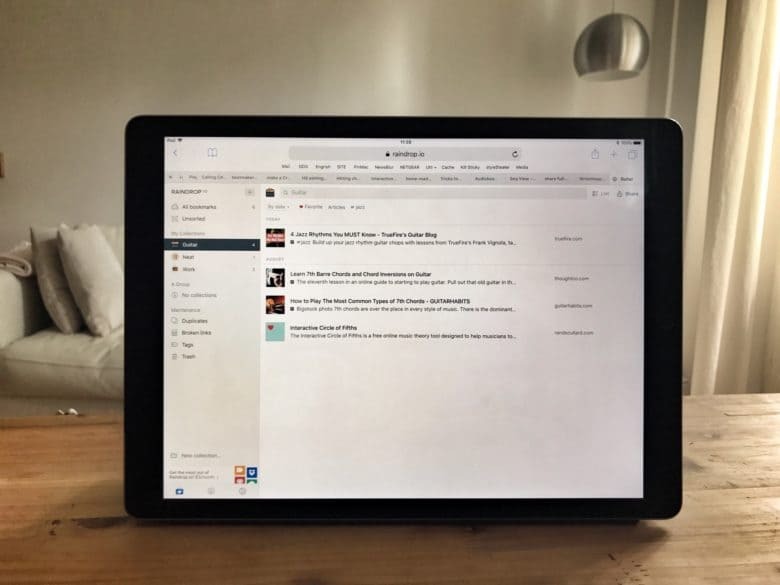 Raindrop.io is the opposite of bookmark-saving behemoth Pinboard, which bills itself as the “anti-social bookmarking service.” Where Pinboard is all ugly plain text, Raindrop.io is a slick drag-and-drop affair. Pinboard uses tags to organize your bookmarks; Raindrop.io uses folders and tags together. Pinboard still doesn’t have an official iOS app (nor will it ever), and Raindrop.io launches with one. That’s not to say Raindrop.io is better. For a start, Pinboard has been around since 2009. It has acquired most of its competition by using a lazy strategy of waiting around for them to go under, then buying up the remnants for pennies. That’s how it wound up owning Delicious, a bookmarking site that sold to Yahoo for between $15 million and 30 million in 2005. It’s likely that Pinboard will be around when Raindrop.io finally dies. Pinboard has flourished mostly due to being a paid-only service. Raindrop.io is free, with a paid tier that brings some extra features. The free tier lets you bookmark sites and organize them into as many groups as you like, and to share those groups with others. The $3-per-month “Pro” tier adds nested collections, tag suggestions, a duplicate finder and a broken-link finder (which nukes any dead links). It’s a still a little glitchy here and there — new folders don’t immediately get added to the sidebar, and new tags can take a while to percolate through the rest of the system. But otherwise the service is super-slick. 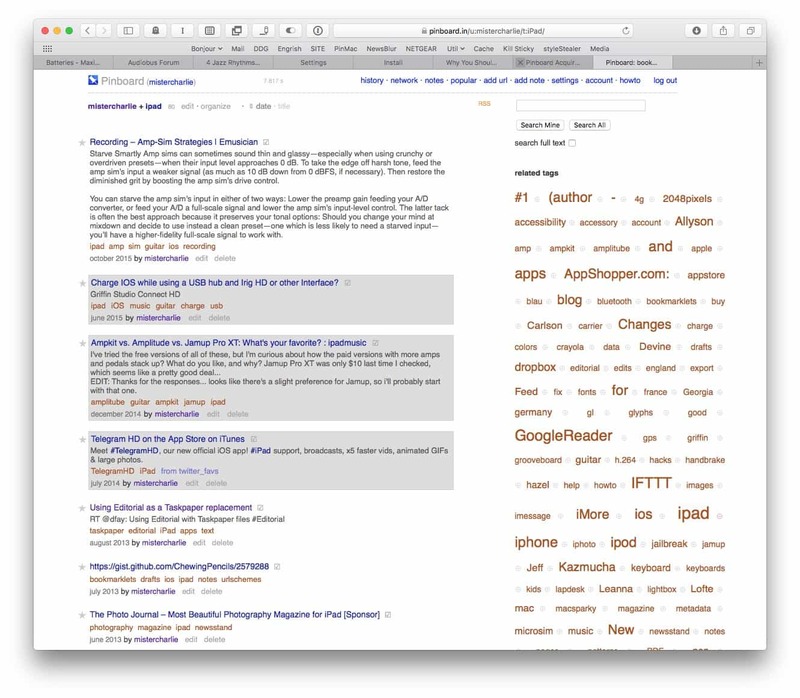 The Safari extension for saving new bookmarks even lets you add a screenshot of the site. Organizing your Raindrop.io bookmarks is as easy as dragging them into a folder — even in the browser. For folks still waiting (probably in vain) for bulk tag-editing in Pinboard, this may seem indistinguishable from magic. On iOS, the app behaves just like the web app, and provides a share extension for saving new bookmarks. Curiously, the web version is much prettier and easier to use than the app. There’s a lot to like about Raindrop.io, including its export and import options. You can import from Pocket, Readability, Instapaper and “other html.” Even better, an export function emails you an HTML file of your bookmarks, ready to be imported into another service if you decide you don’t like Raindrop.io. Or for when Pinboard eventually acquires Raindrop.io.